.I have been involved in various campus organizations, which are, Student Government Association, the Sophomore Class Cabinet, Honors Student Organization, P.O.W.E.R, NAACP, HEROES, Student Ambassadors, The Movement of Poimne, and the Residence Housing Association. In the summer of 2016 and 2017, I worked at an internship with the United States Department of Agriculture in Atlanta, Georgia and Albany, New York. Also, this summer I completed an internship with a fortune 200 company in Richmond, Virginia. Currently, I serve as Miss Alcorn State University for Student Government Association, I served as Miss Junior for the 2017-2018 academic school year, the Vice President of the NAACP, a member of POWER, HEROS, Impact, Honors Student Organization, and Student Ambassadors. Also, I have worked in the Alcorn State University Writing Center as a Peer Writing Consultant and I am a Student Ambassador for the Thurgood Marshall College Fund. My career goals are to graduate from Alcorn State University with a Bachelors of Science in Business Administration. Then I would like to attend law school and become a corporate attorney. 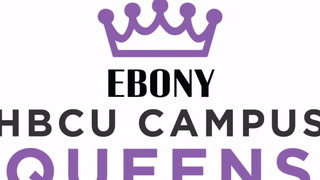 As a Campus Queen, so far my most memorable contribution has been a suicide awareness event I did with the student body. The title of it was ""My Life Matters"", and it was an interactive activity to spread suicide awareness and remind students that their life is important.